In the last year, Dread Central Presents has really upped the ante. They've come into their own as a horror media outlet as well as picking up a slew of films that have covered a wide range of the genre. From Natasha Kermani's excellent sci-fi trip Imitation Girl to the masterfully made doc on Kane Hodder, the company is a horror dream house now. Well, they're not stopping there. Now they're moving into the original pictures game and they've just announced the first of (hopefully) many with The Golem. 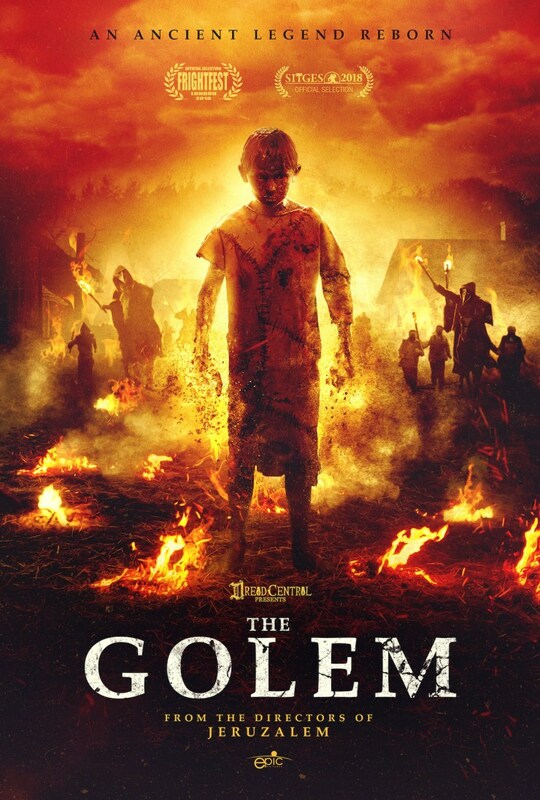 If you're not familiar with the mythical background of the Golem, it's a centuries old folklore that is based heavily in Jewish heritage, and luckily this films to be embracing that history. We're certainly pumped on the idea of Dread making fresh new product like this, and it's awesome to a mythology that is oft-overlooked explored, especially in a horror capacity.